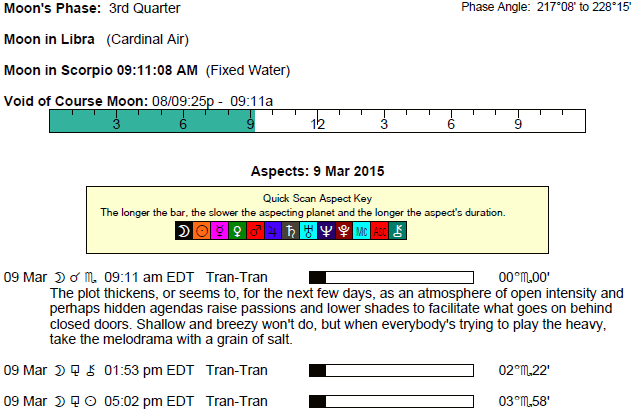 We are more focused and present this morning, especially after the Moon enters Scorpio and before noon. Enthusiasm builds today. The Moon is in Libra until 9:09 AM. The Moon is void until 9:09 AM (since 9:23 PM yesterday). 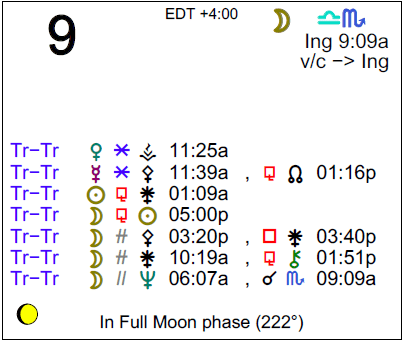 The Moon is in Scorpio from 9:09 AM forward (until Wednesday, March 11th, at 7:30 PM). 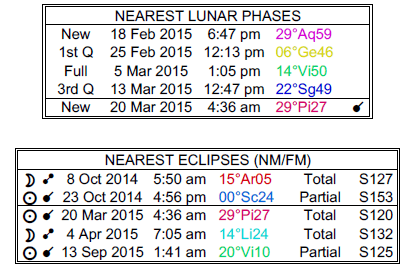 The Moon is in its Full Moon phase / Waning Gibbous phase from 5:02 PM forward. Today is excellent for personal energy, creative expression, and personal magnetism, dear Aries. Conversations can be learning experiences. You are enthusiastic and you have the ability to make things happen, particularly when it comes to fun, romance, children, and creative projects. While you’re perfectly happy acting independently these days, today, be amongst people for best results, even if you’re still doing your own thing. Graciousness and warmth are offered to you now, and positive feedback is forthcoming. You easily assert yourself and take the initiative now. Great energy is with you today, especially for personal projects and behind-the-scenes activities, Taurus. You might choose to help someone out, do a good deed, or work on a home project. Love can get a boost today. Forgiving, lenient, happy energy is with you on this level. Something can occur that brings up past feelings. Alternatively, something (or someone) can touch you in a deep manner. You are able to take action on a matter that was previously stuck. You can feel especially inspired and interested in putting an idea or plan into motion now, Gemini. There can be a real sense of harmony felt when you’re being active with someone. It’s a strong day for relationships. Your ability to coordinate and innovate serves you well right now. You are acting with purpose and strength, and expressing yourself with confidence, warmth, and authority, all at once. You can be anxious to go forward with something, and you feel more optimistic than you have in a while. You will want to do things that make you feel alive and energized today, even in the work you do, dear Cancer. Resources may come to light now, and talents run deep. You feel energetic when you explore different methods of doing the usual things. Helpful advice or support from someone in a position of authority may come your way today. This is a strong time for career and practical matters in general, as you seem to be especially willing to take charge and go after what you want. Projects seem to come together almost magically. Energy runs high, and you want to take part in activities that take you outside of your usual routine, Leo. You tend to create situations that broaden your experience or expand your thinking. Educational, legal, or travel plans might come together now. Personal energy is flowing smoothly and your confidence is up. New endeavors initiated can be quite successful. Activities that inspire you feed your energy rather than drain you, and this is a time for gravitating towards these things, and for those things that matter the most to you. You are especially resourceful now, dear Virgo. Your ability to strategize and plan well, rather than to jump ahead impulsively, will serve you best. It’s a strong day for making big plans, particularly business and finance-related ones, but also personal goals that are designed to empower you. With the belief that you deserve more, success is guaranteed. Action and inspiration combine, and you can do something truly wonderful. The desire to win is with you now, and this gives you a nice push to make improvements. Feeling connected to something greater than you subtly improves your spirits today, dear Libra. A significant person in your life can help build your confidence or push you to do something you’ve always wanted to do. Others are encouraging. Strong energy for coming together with a partner or friend is with you, and the more active you are together, the better the outcome. Make it a goal to bring a spirit of true friendship to a partnership, or to make a friend feel like they belong. While today is potentially excellent for idea sharing or having “that” important conversation, consider taking action on something rather than simply leaving it at the analysis stage. You are looking for extra meaning in the work you do right now, dear Scorpio, and this motivates you to do your best or to shoot for something big. The Moon is in your sign all day, making you especially aware of your emotional needs. There is excellent energy with you for all work projects, health programs, and responsibilities. Your efforts are recognized. Don’t just think about it today, do it! While the morning is a potentially excellent time for conversations and sharing information, later today is about putting things into action. You are feeling energized and a little adventurous today, Sagittarius. Creative juices are flowing and romantic energy is strong. Be amongst people for best results. Freshen your mind with alternative possibilities and open your heart to change. Go with what feels right today. If you have been thinking about making a move to advance a relationship or to try a new avenue for communicating, then this is probably the time you are moved to take action. You are especially courageous and enthusiastic right now as you are not especially concerned with others’ approval, and your personal magnetism is skyrocketing. You may find an opportunity to support someone who needs your help either mentally, physically, or spiritually today, Capricorn. With your confidence now, responses to your actions, plans, and ideas are favorable and warm. You may have the chance to take action on a personal or family matter today, and not only are you coming at problems with courage and great insight, you also have the tools necessary to do something about it, not just talk about it. This can be a strong day for intimacy, moving a relationship to a new level, and exploring something new and exciting. Getting active with a partner, even in small ways such as sharing time running errands, can give your relationship a nice boost, dear Aquarius. You may be pairing up with someone to put an idea into motion now. Romantic matters are very strong right now. Your charm is powerful now, particularly with direct, respectful communications and approaches. With less concern about what to say when, you are better able to gain others’ trust. Liberally share your affections and use the additional courage you have now to make a real improvement to your life and to your relationships. There is forward-looking energy today that feels good, Pisces. Motivation for work, money, and business is gaining momentum, and there is a stronger desire to find more meaning in what you do. Timing is strikingly good today. Problem solving skills are in fine form, and you are in the position to take action on a money or work-related matter in order to solve a long-standing problem. You feel very optimistic. It’s easier to tackle your work with your can-do attitude, and this can translate to real productivity. If Your Birthday is March 9th, If Today is Your Birthday full horoscope here. We may have difficulty relating to one another if we are not treating each other as equals. There can be temptations to manipulate in order to get our way. There can be jealousy or lack of trust that interferes with healthy interactions. Conceding may feel as if we are giving up something of ourselves. We are expressing ourselves more clearly and are more able to instruct others. There is a pronounced ability to order our thoughts and ideas and to recognize patterns. We can enjoy making plans, lists, and connections now. **I suggest paying close attention to applying aspects. The energy of the aspect builds as it gets closer to exact. Once an aspect has happened, it’s over. Separating aspects are good to know for context, but in terms of energy that is with us today, applying aspects are most important. 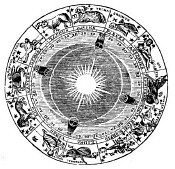 (This is the case for daily astrology influences, which pass quickly, and not natal astrology aspects, which are with us for a life time). You are able to communicate your thoughts and feelings with ease. You may be a charming person, at times manipulative. You have a talent for making decisions based on both your heart and mind. You are a highly intuitive person with a gentle manner. You have an unusual level of sensitivity to other people’s feelings. You need to make sure that you do not idealise other people. You have creative and artistic talents. You are wounded, either physically or emotionally. You are scared to express yourself because you are so sensitive to pain. At some stage in your early life you have suffered and this contributes to your adult fear of pain. You have a compassionate nature as you have the ability to understand other people’s hurts. You will pursue a partner ardently and hastily, and yet strive for freedom and independence, once you are in an intimate relationship. You like to be the initiator in relationships, and can be aggressive. You may be a spendthrift. You are determined to be recognised as an individual within your personal relationships. You will not allow anyone to curb your sense of freedom. You tend to get bored and restless in traditional relationships. You want fun, spontaneity and intellectual stimulation from your partners. Sabian Symbol: Cherub-like, a human soul whispers, seeking to manifest. You lack confidence in your artistic ability or in your relationships. Learn to believe in yourself and avoid being drawn into the psychic realms as you still have to learn how to deal with the practical side of life. Sabian Symbol: A person weaving a blanket. You work best in an atmosphere of freedom and have a tendency to escape from routine. You will have commitment to humanitarian or political causes which do not offend your sense of individuality. Sabian Symbol: A man formally dressed and a deer with its horns folded (hanging on a club-house wall). You tend to look after yourself and others rather than seek nurturance. You feel nurtured when you achieve your ambitions. You teach others self-discipline and how to achieve their goals. Sabian Symbol: Two awards for bravery in war. Sabian Symbol: An arctic explorer leads a reindeer through icy canyons. You have an inability to let go of your independence. You want to continue doing things your own way when it is time to start co-operating. Sabian Symbol: A professor peering over his glasses. Sabian Symbol: The president of the country. Cnj 14°Ar30 ALPHERATZ Wanting freedom and movement. Moon 24° Sagittarius 10' 00"
Mercury 08° Aries 17' 06"
Venus 03° Aries 24' 59"
Uranus 02° Taurus 33' 30"